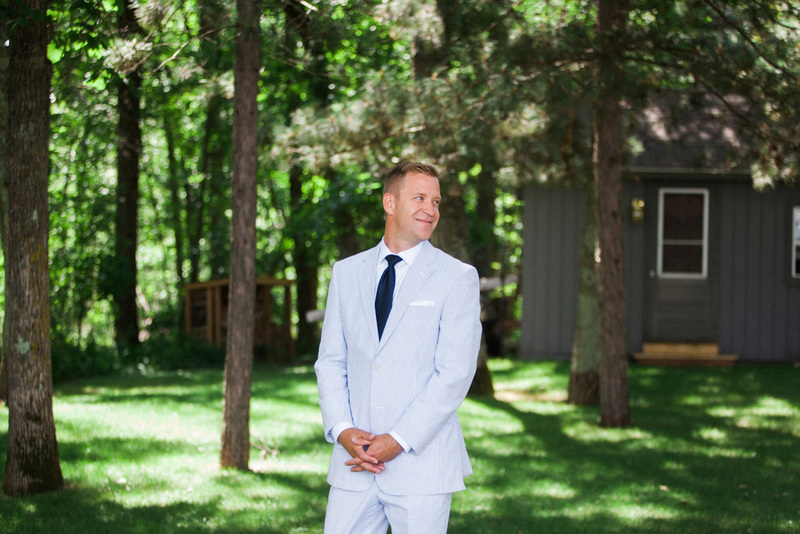 I don't even know where to begin with describing the perfection that was Jill + AJ's wedding! Every detail was absolutely flawless (thanks to the talented designers/coordinators at Mi Mi Weddings). 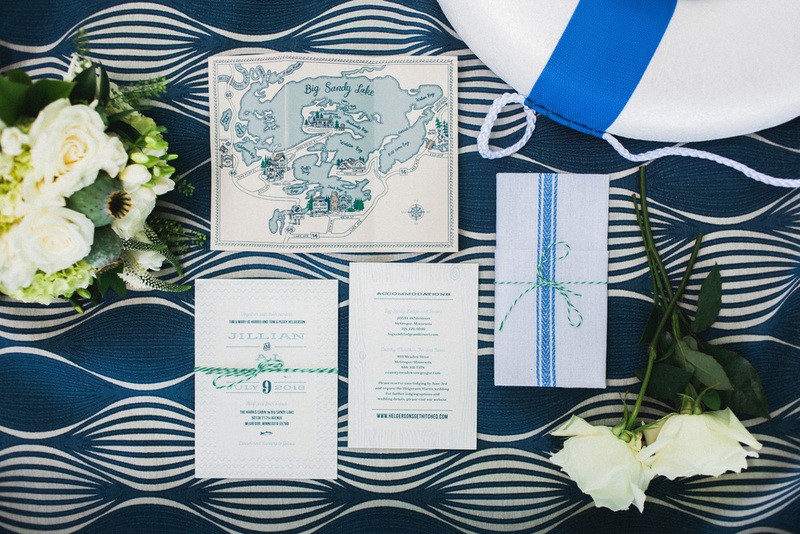 From the Bride's stunning family home on the lake, to the hand-made wood signage, an artist-designed map of the area and the charming blue/white nautical theme -- their guests certainly experienced a celebration to remember. The groom and groomsmen arrived at the ceremony James Bond style (via speed boat!) and the couple was hitched under an elegant flower wreath, surrounded by a circle of family and friends. During cocktail hour, guests enjoyed bevs from the shed-turned-bar and played games in the sand. Under the reception tent, all were treated to a family-style BBQ dinner, followed by cupcakes. And of course, dancing into the evening, beach-side, under the stars. Jillian and AJ met at the lake and have brought their love story full circle, with a celebration of adventure and style on the water.